Bloomberg Philanthropies has announced the launch of the What Works Cities initiative, a $42 million program to help 100 mid-sized cities better use data and evidence. What Works Cities is the latest initiative from Bloomberg Philanthropies’ Government Innovation portfolio which promotes public sector innovation and spreads effective ideas amongst cities. Through partners, Bloomberg Philanthropies will help mayors and local leaders use data and evidence to engage the public, make government more effective and improve people’s lives. U.S. cities with populations between 100,000 and 1 million people are invited to apply. The $42 million effort is the nation’s most comprehensive philanthropic initiative to help accelerate the ability of local leaders to use data and evidence to improve the lives of their residents. What Works Cities will provide mayors with robust technical assistance, expertise, and peer-to-peer learning opportunities that will help them enhance their use of data and evidence to improve services to solve problems for communities. 4. Focus funding on approaches that deliver results for citizens. 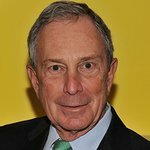 Across the initiative, Bloomberg Philanthropies will document how cities currently use data and evidence in decision making, and how this unique program of support helps them advance. Over time, the initiative will also launch a benchmark system which will collect standardized, comparable data so that cities can understand their performance relative to peers. In cities across the country, mayors are increasingly relying on data and evidence to deliver better results for city residents. For example, New Orleans’ City Hall used data to reduce blighted residences by 10,000 and increased the number of homes brought into compliance by 62% in 2 years. The City’s “BlightStat” program has put New Orleans, once behind in efforts to revitalize abandoned and decaying properties, at the forefront of national efforts. In New York City and other jurisdictions, open data from transit agencies has led to the creation of hundreds of apps that residents now use to get around town, choose where to live based on commuting times, provide key transit information to the visually impaired, and more. And Louisville has asked volunteers to attach GPS trackers to their asthma inhalers to see where they have the hardest time breathing. The city is now using that data to better target the sources of air pollution. A consortium of leading organizations has been assembled to inspire, challenge, and support cities. Together, these partners will deliver a comprehensive program of support, promoting tested as well as innovative new approaches. •	Results for America will lead and coordinate the What Works Cities partner consortium and advance a nationwide dialogue on the need for cities to use data and evidence in decision making. •	The Center for Government Excellence at Johns Hopkins University will work with cities to assess the current state of What Works practices, and support implementation and enhancement of open data and performance management programs. •	The Government Performance Lab at the Harvard Kennedy School will support cities in improving the results they achieve with their contracted dollars. •	Sunlight Foundation will help cities craft meaningful and sustainable open data policies. •	The Behavioral Insights Team will help cities conduct real time, low-cost evaluations of programs so they can continually improve city services. To learn more and apply to be a What Works City, visit www.WhatWorksCities.org.